Here is the process of how Pegasus Hybrid is been made. This is a self portrait of my dreamland. Total hours: 5 hours. sketch the subject and check if the body radio is right. Legs seems too short and belly is too thin. Double check the body ratio, back legs still a bit short. Fixed everything and ready to be color. 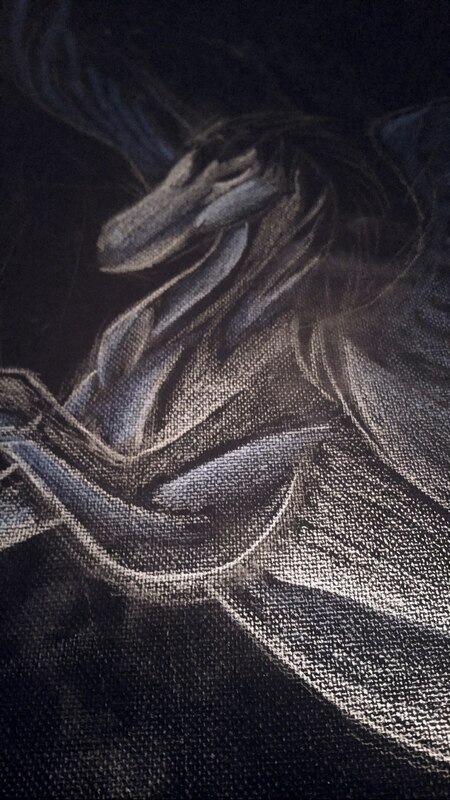 Shading the muscle with blue and white highlights. Details of muscle and ready to put rainbow hair. Rainbow hair and wings done. Ready to the tail with same colors, and the moon. Add the moon, give some holes to make it looks like a moon...now ready for the aurora. Added the trees and aurora, white paint with lots of random stars.